A "PAGE' is a collection of windows (charts, market makers, market minders, positions, etc.). After organizing the windows on the screen you save the page layout, so the exact same layout can be loaded again. Each page is given a different name. You can create as many page layouts as you want. 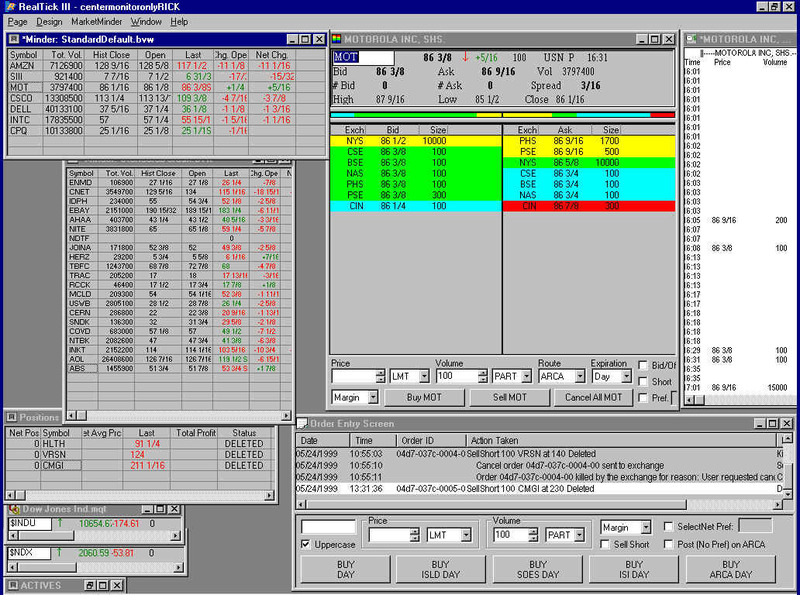 Our sample page layouts include the common one above, #2 is a screen full of index charts, #3 is a used to prospect for daily play stocks, and #4 is a page stretched across 3 monitors. You will be creating your own pages during course 3. Unlike seminar training classes, if you don't understand something the first time, you can review it as many times as you want.